Time to review the latest cutting-edge academic research, as discussed in our country’s leading business newspaper. A report in the Wall Street Journal from Monday brings us two items that expand our understanding of that mysterious beast known as the stock market. The first item is a recently released report from the Investment Company Institute (the trade group for mutual fund companies) which revealed that the average mutual fund investor’s willingness to take risk is lower now than it was two years ago before the market experienced its well publicized unpleasantness. 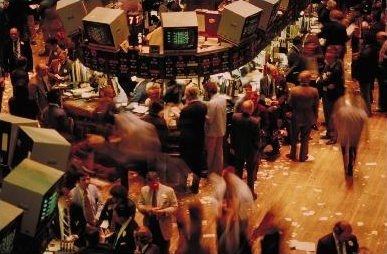 … During the past two decades, the risk tolerance of investors is positively correlated to the movements of the stock market, meaning that investors are likely to invest more when market returns are high, and withdraw partially or even completely from the market when returns are negative. [Professor] Yao warns that this tendency will ultimately lead to ineffective investment tactics and unnecessary financial losses. She says that a positive correlation between risk tolerance and stock market returns shows that investors are buying stocks at a high price and selling them at a low price, which is not sound investment strategy. This has revolutionary implications for our understanding of stock market dynamics. If it is true, then what you might see after sudden price changes is a period of optimism or pessimism that would exaggerate, or at least not counteract, those price changes. For example, if the market went down a lot one day you might not see the immediate bounce back that would make sense, given prices that are suddenly a bargain. It might be that people would get all skittish and stay on the sidelines or even sell some more, causing prices to fall further. Conversely, if the market goes up, that might make some investors increase their optimism, meaning that they would actually start to buy more at the new (higher) prices. And that could make those high prices go even higher. You might even see prolonged periods of pessimism and optimism driving market movements. This is pretty scary stuff. Of course, more research needs to be done, but this does raise the chilling possibility that the stock market is not entirely driven by wholesome principles of economics. It might also be based on such things as investor psychology and sentiment. Instead of the rational machine for accurately valuing assets that we all think it is, the stock market might actually be a sloppy and chaotic mechanism that at best only tends toward true long-term value. It is almost too frightening to consider. If we didn’t base so many of our societal assumptions on the supposed efficiency of markets, this research might even be considered redundant. But it turns out you have to sometimes remind policy makers that the market is mostly driven by psychology. But they’re only talking about number of investors. If you want to know how psychology actually affects market movements, you can’t just poll the guy who has $1000 invested and count him as equal to the guy who has $50,000,000 invested. Surveys like this will be dominated by the opinions of Joe Sixpack who has $20,000 in his 401(k) which he will withdraw completely when he changes jobs. This survey has no impact on my opinion of the efficiency of the stock market. I bought gold at $280/oz., intending to sell if it ever reached $1000. (I did). I was quite excited about my venture and told some people, but no one was impressed in the least. Now, several of those people are “all in” gold, and handing out the advice that it is time to buy. It may be. But I’m personally O.K. sticking with buying low and selling high. It is of course true that the research points to something that is 100 percent obvious to all. It is ALSO true that the idea that timing doesn’t work (an idea that you yourself promoted in an article at this site, Frank) is 100 percent in conflict with what the obvious research is telling us. If investors behave emotionally, all that is necessary to time the market effectively is to make note of the extent to which they are doing so (by looking at solid valuation metrics) and then to adjust one’s stock allocation accordingly. That’s long-term timing. People have been doing this since the first market opened for business and no one has ever been able to identify any market or any time-period in history in which it didn’t work. It’s good that there is universal acceptance that the Efficient Market Theory is mumbo jumbo. Now we need to move to the next step — developing strategies and tools to help investors take advantage of this universally understood reality. We don’t do it today because it doesn’t sell. The emotional stuff sells. The emotional stuff is also killing us. We need to start looking at something other than what sells is putting forward investment advice. The new dynamic public finance was developed to study the design of optimal taxes given only minimal restrictions on the set of possible tax instruments, and on the nature of shocks affecting people in the economy.